This statistic presents the most viewed YouTube channels worldwide, sorted by monthly views. 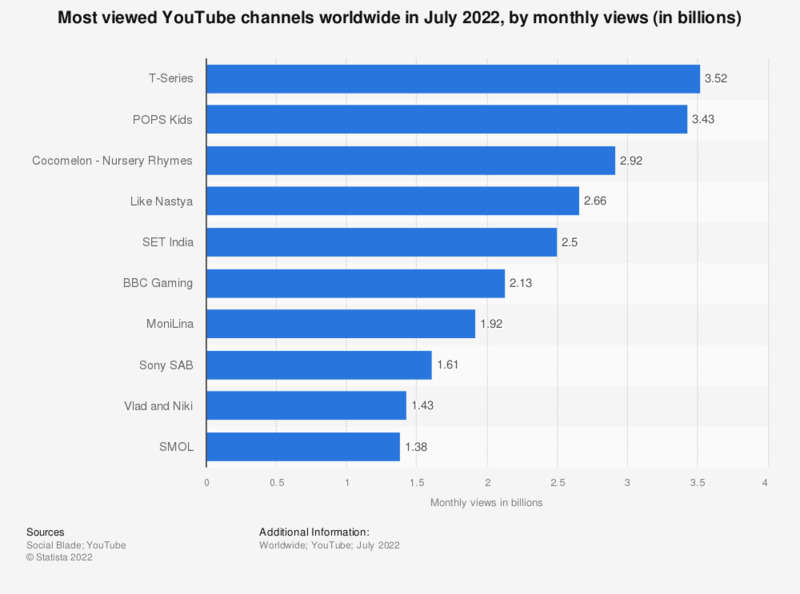 In January 2019, Cocomelon - Nursery Rhymes was ranked second with almost 2.27 billion channel views in the preceding 30 days. T-Series was ranked first with over 2.91 billion views. Video commentator PewDiePie ranked second as the most popular YouTube channel based on lifetime-views.